Live exports of Australian Dairy Goats are conducted by Australian livestock exporters licensed by the Australian Government and the industry is highly regulated and has high levels of compliance. Animal Welfare is a primary component of the compliance and a primary focus of the way in which we conduct our business. The Saanen breed was the first dairy goat breed to be introduced into Australia in 1929 and then over the next 61 years the other recognised breeds were imported. These breeds included the Anglo Nubian(introduced 1954), , British Alpine (introduced 1958), Australian Melaan (bred in Australia since 1943) and the Australian Brown (bred in Australia since 1990). Australian dairy goat exports focus on dairy goat breeds such as Saanen, Toggenburg, Melaan, British Alpine and British Alpines. 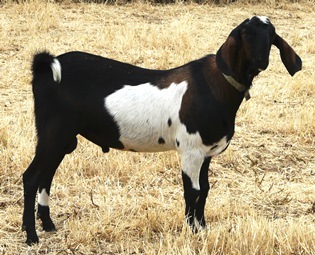 Dominant breed is the Saanen, however, sourcing dairy goats requires forward planning up to months in advance as they are available only in limited numbers. With proper management and nutrition dairy goats perform well in the tropics of South East Asia and in the Middle East. They are highly profitable given the price of milk in South East Asian countries for example. As with all breeds we are happy to assist with support in all aspects of your livestock. Management, genetics, proper infrastructure and nutrition are keys to successful dairy goat farming.